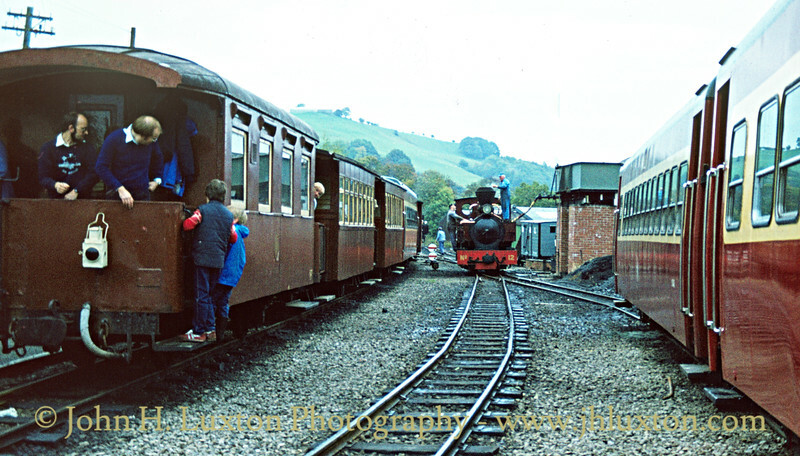 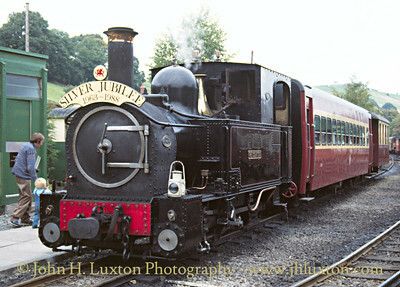 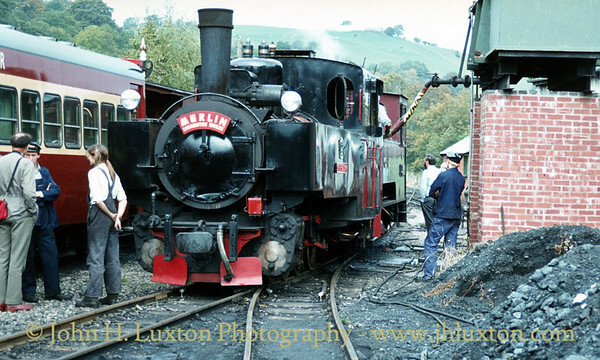 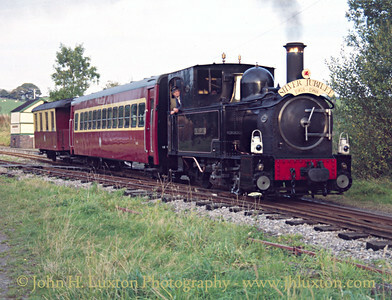 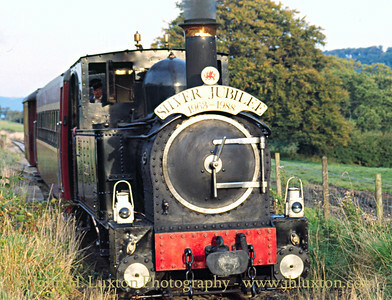 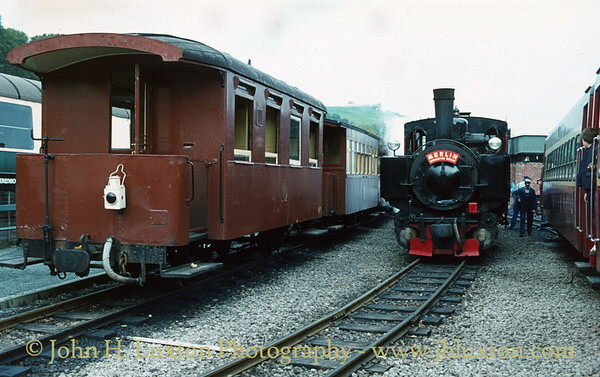 Photographs of the Welshpool and Llanfair Light Railway from the 1980s. 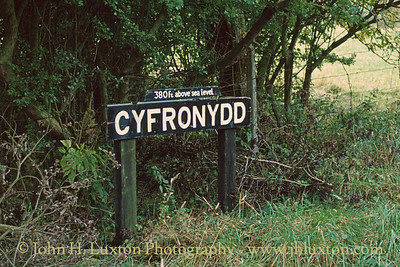 Cyfronydd Station note old Cambrian Railways brake van body which is used as a waiting shelter. 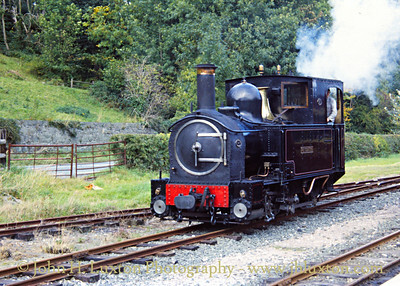 COUNTESS running around at Welshpool Raven Square Station. 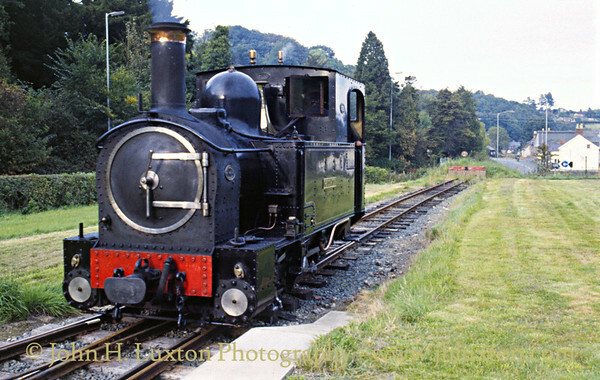 COUNTESS awaiting departure from Welshpool Raven Square Station. 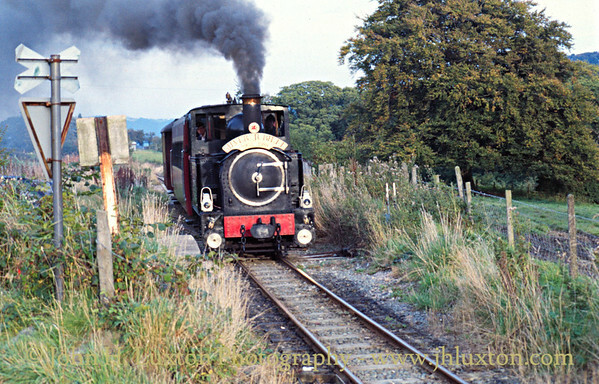 COUNTESS climbing Golfa Bank with a Llanfair bound train. 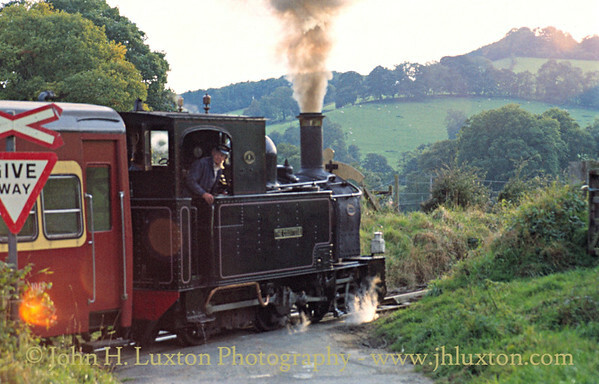 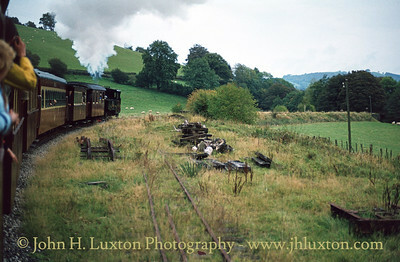 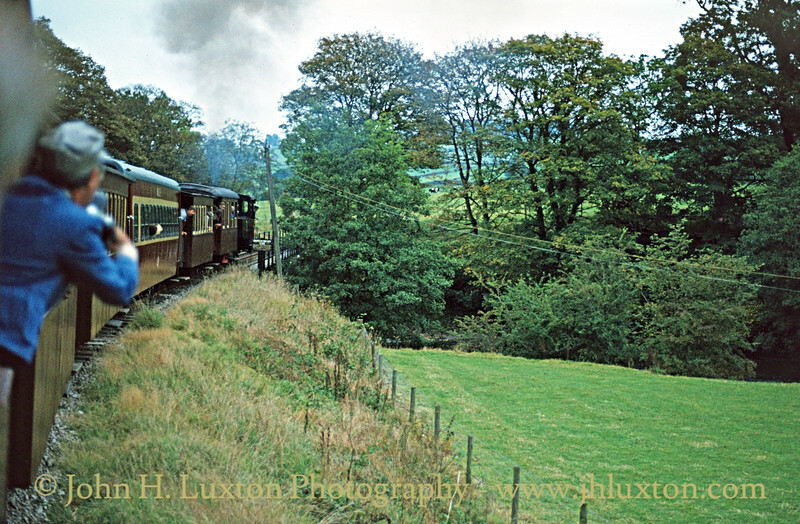 COUNTESS climbing Golfa Bank with a Llanfair bound train carrying the Silver Jubillee Headboard commemorating 25 years of the Welshpool and Llanfair Light Railway. 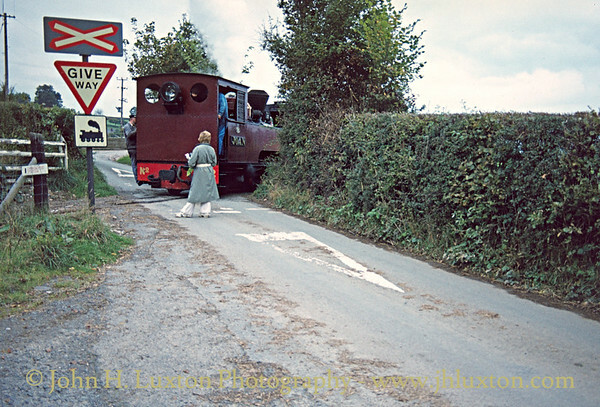 COUNTESS approaches Copse Lane Crossing. 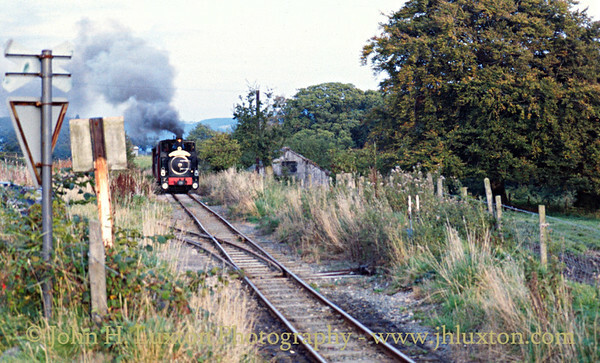 COUNTESS departing Castle Caereinion Station. 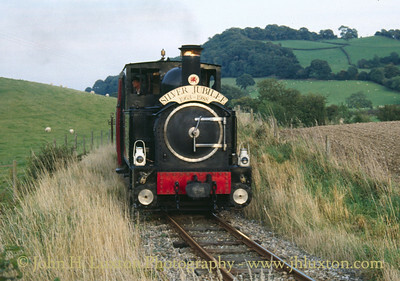 THE COUNTESS at Dolarddyn Mill Crossing. 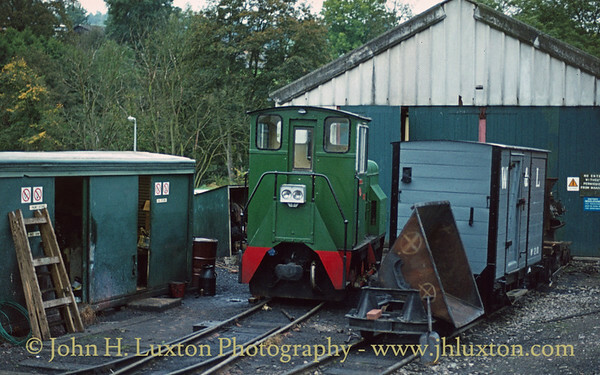 Your web master's MG Metro lurks in the background. 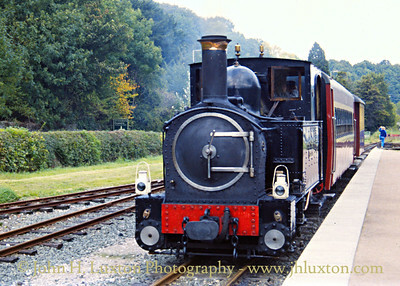 Countess after arrival at Llanfair Caereinion. 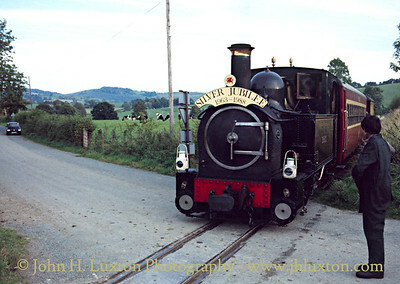 SIR DREFLADWYN at Llanfair Caereinion Station. 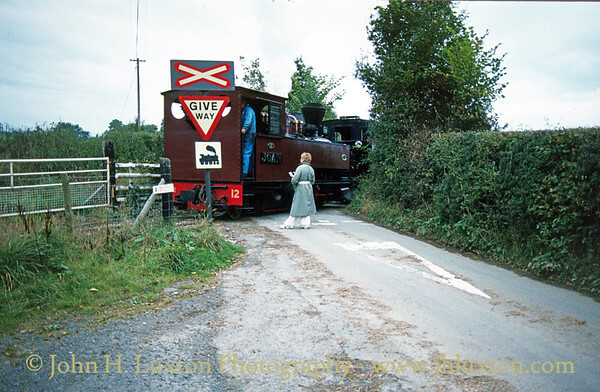 JOAN passing over Cyfronydd Crossing. 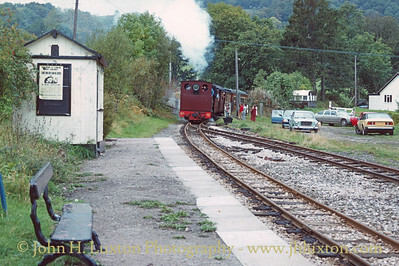 JOAN arrives at Castle Caereinion Station. 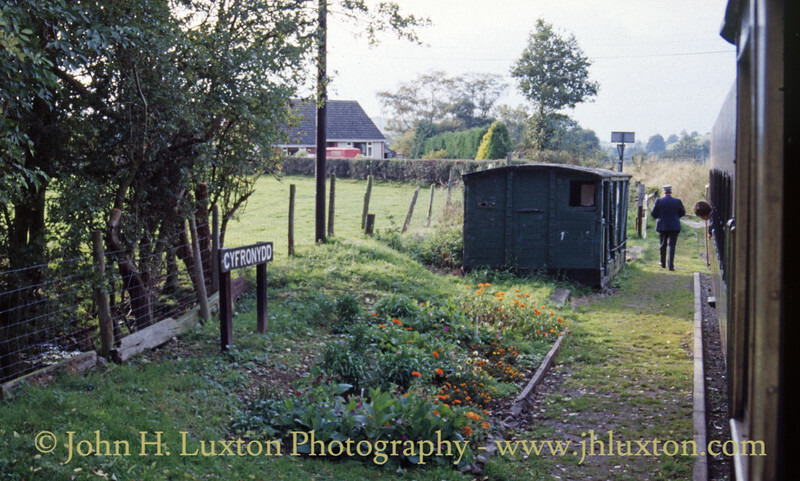 Your web master's first car an MG 1100 can be seen, whilst it looked neat on the outside for a 1966 model it was full of corrosion in places one could not see!, but it was kept going for another two years!